The demo in action - displaying the Pcam 5C data. Video data streams in through the Pcam port and out through the HDMI source (TX) port. A UART interface is available to configure the image sensor and additional post processing IP Cores. The following table lists the currently supported video resolutions and output formats from the image sensor. Note that resolutions with frame rates lower than 60Hz are over sampled to 60Hz to output over the HDMI port. Plug one end of the HDMI cable into the HDMI TX port of the Zybo Z7 and the other into your HDMI monitor. Also attach a USB micro cable between the Zybo Z7 and your computer. Finally, attach an external 5V power supply, since the power demand surpasses the USB power budget. Attach the Pcam 5C assembly (which includes the Pcam 5C and the attached 15-pin flat flexible cable) by inserting the other end of the FFC into the Pcam connector on the Zybo Z7 as shown in image below. Ensure the cable is securely latched by pressing down firmly on the connector with two fingers. For a more detailed set of instructions, see the Pcam section in the Zybo Z7 Reference Manual. If the cable has become disconnected from the Pcam 5C, please see the Pcam 5C reference manual for instructions on how to reattach it. To see the UART communication channel, open a terminal program on your computer set to 115200 baud rate, 8 data bits, no parity bit and 1 stop bit. On startup, the Zybo Z7 will display the image sensor control and post processing menu, shown below. This option can be used to change the resolution of the video coming from the sensor. Currently 1080p@15Hz is not supported and will cause problems if used. This option allows you to write a value to any register inside the Image sensor over the OmniVision SCCB interface. You will need to refer to the OV5640 datasheet for information on the register map. This option is very useful for exploring the features of the image sensor. This option allows you to read the value of any register inside the Image sensor over the OmniVision SCCB interface. This option allows you to change the amount of gamma correction that is done by the custom AXI stream IP inside the FPGA. This option allows you to adjust how the image sensor is doing auto white balancing. There are 3 modes: Advanced, simple, and disabled. The advanced mode sometimes causes dramatic shifts between “red-ish” and “blue-ish” tints. 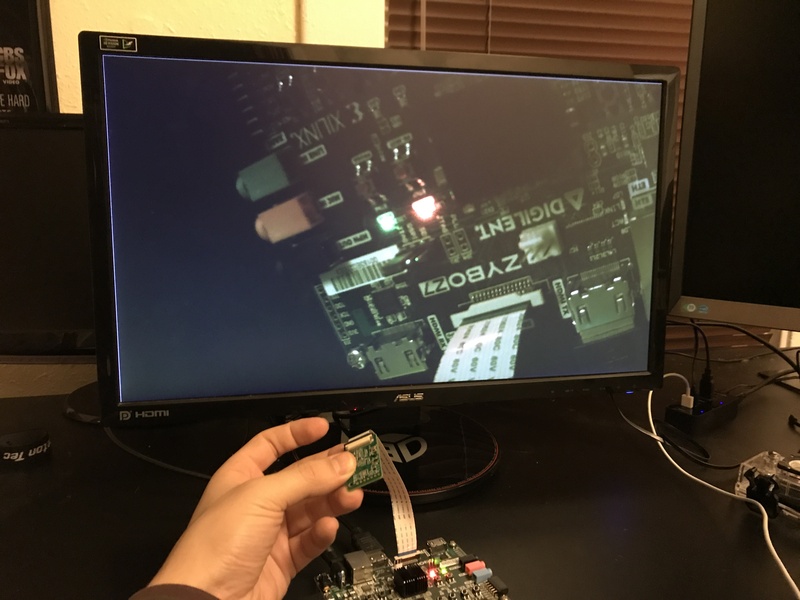 This demo uses our own software to configure the OV5640 image sensor and open source IP to post process the image data. Both of these facets of the software greatly affect image quality. This section documents the current quality of the images our software is able to produce with the Pcam 5C. We are aware that the quality of the image affects whether the Pcam 5C is suitable for some applications, so the information provided here can be used to help determine if the product will fit your needs. We hope to improve the quality of the images produced by this demo over time, so please check back often if you are interested. We are also looking into using Xilinx IP and the Omnivision provided Linux drivers to provide another software option for the use of the Pcam 5C. This will be made available if successful on the Pcam 5C Resource Center. We have seen some issues with the accuracy of the colors produced in some conditions. The affect is that colors seem less vivid and washed out. In some cases the image tends to look a little skewed towards “yellow-ish”. When the gamma adjustment is set higher, this affect becomes more noticeable. The images below compare the image produced with the Pcam 5C to images produced by a high-quality USB web camera. The camera used was a Logitech C920. The USB camera is on the right and the Pcam 5C image is on the left. Some situations that contain a mix of dark and bright areas will cause the brighter areas to look overexposed. Notice the very white area of the image produced by the Pcam 5C. 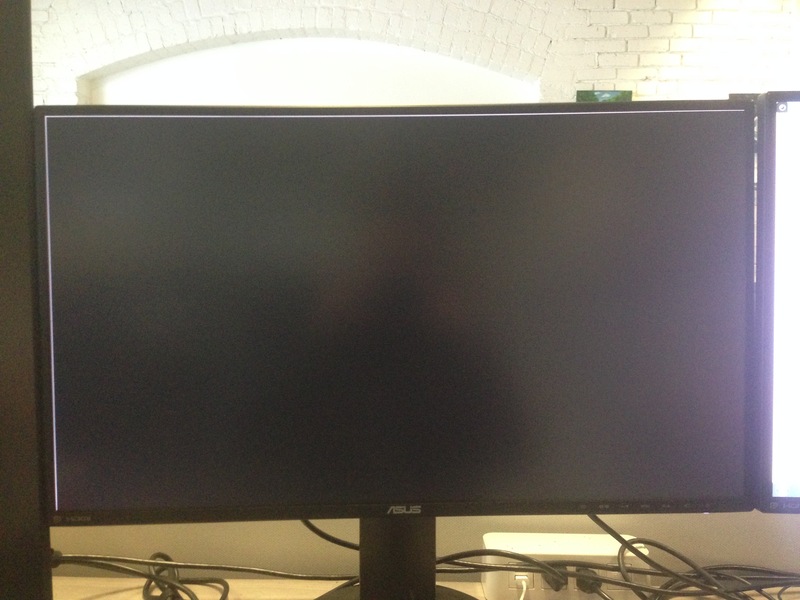 The top and left edges of the image have a single pixel gray line. This artifact is introduced by our post processing IP, axis_raw_demosaic. It is an accepted side-effect of the border interpolation algorithm used and we plan to provide other options in future versions of the IP. The image below is taken with the Pcam 5C lens cap on, which makes the gray line very visible on the all black image.